By David Ponce on 09/03/14 • Leave a comment! The only thing more unpleasant about flying than having the seat in front of you jammed into your knees, is not being able to get back into your shoes at the end of a long flight because they swelled up so darn much. They say you should get up and walk around, but it’s not always possible to move that monolith next to you, snoring his day away. 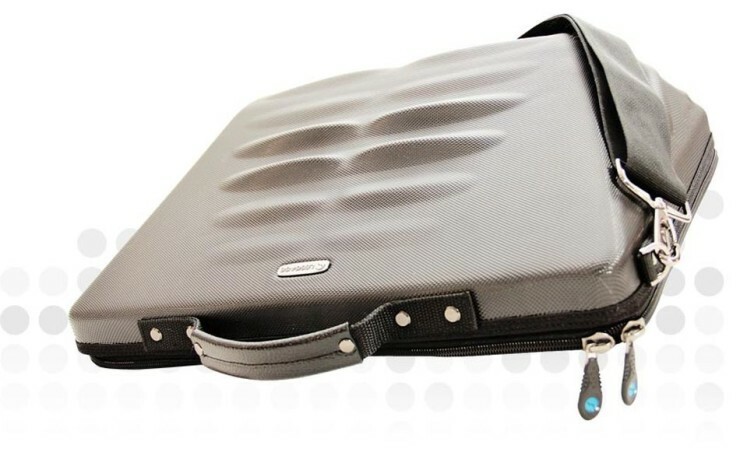 The Leggage laptop case features ribbed and angled hard surfaces that give you up to 9 different massaging positions. Just place your case on the floor and rub your feet all over it, angling them up and down and promoting circulation. Then stand right back up like you haven’t just been confined to a flying box of sardines for 12 hours. You can fit laptops up to 15.6 inches inside the case, and only comes in black. It’s $80. By David Ponce on 04/09/12 • Leave a comment! 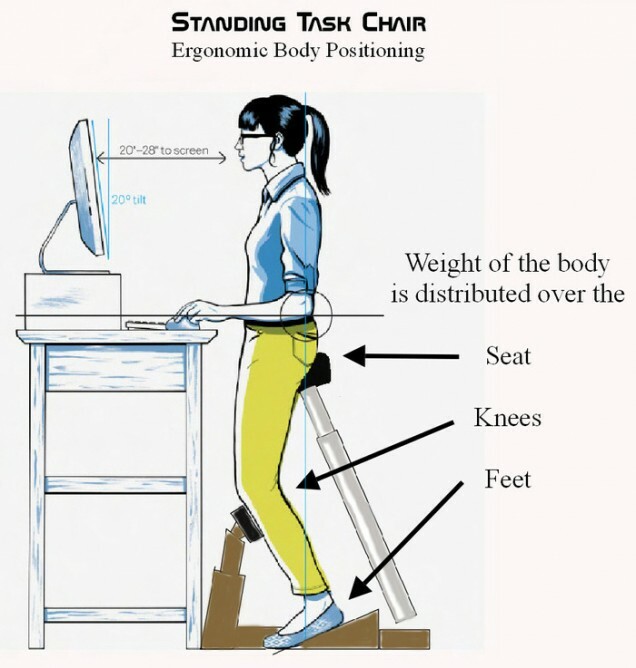 Ergonomics, some say, is important. We would personally find a way to work even while hanging upside down, so it isn’t of much concern to us. 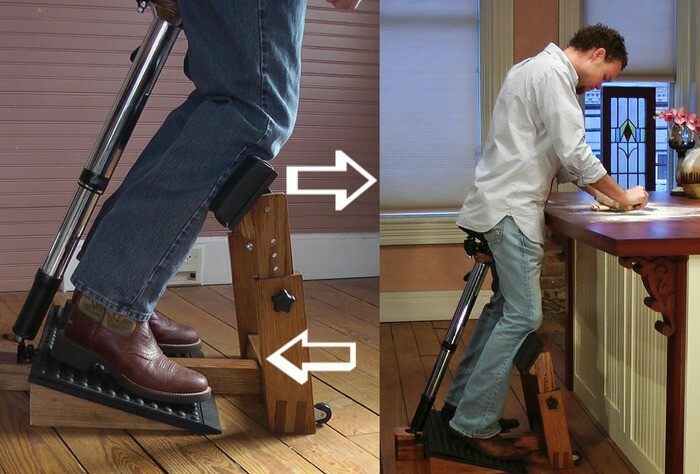 But among those who don’t see it like we do is Philips, who has developed a computer monitor that can help keep a good posture while working. 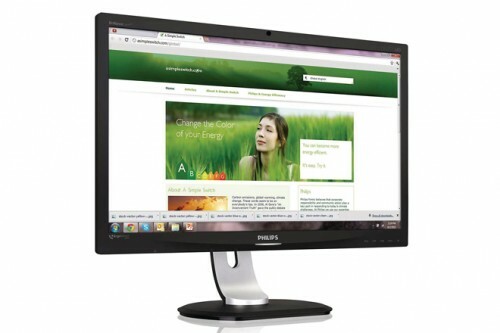 A camera on the front of the 24 inch ErgoSensor monitor makes sure that you keep the right distance from the screen, that your head is not tilting forward and even gives you an occasional reminder to get the heck away from your desk and take a break if it notices you’ve been in front for too long. This same presence detection ability is also a good energy saving feature, since the screen will go to sleep when it notices you’re not around. The ErgoSensor is currently on sale in Europe for 285 euros, though there’s no word on whether it’ll ever make the jump over the pond. By Andrew Liszewski on 04/19/10 • Leave a comment! Most mice are designed to fit a wide variety of hand sizes, but the results aren’t always perfect. So Rainbow has created yet another mouse that can be customized via a set of 2 different covers. 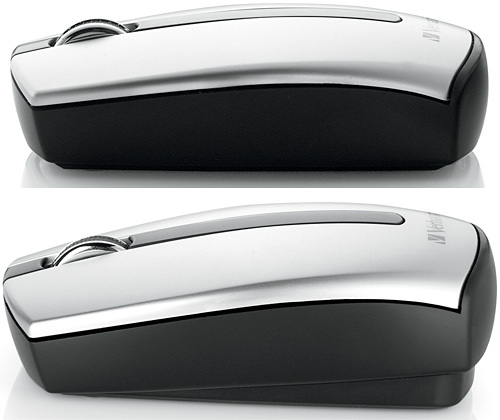 The ‘medium’ sized cover sits relatively flush to the mouse itself, while a ‘large’ sized cover appears to add a considerable amount of junk to the mouse’s trunk, fitting larger hands. 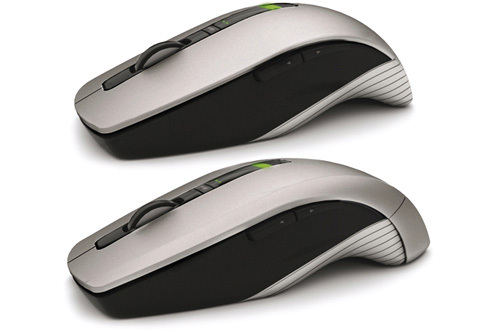 The mouse itself comes in 3 different flavors with varying levels of functionality, including a high-end wireless model, but they all seem to include a laser optical sensor, a scroll wheel and various programmable buttons. The basic, corded version is available for around $20 (£12.99) while the fancy wireless model is about twice that at $40 (£26.52). By Andrew Liszewski on 09/17/09 • Leave a comment! I absolutely love Logitech’s VX Nano cordless laser mouse for day-to-day work and travel, and recommend it to anyone who asks, but it is a bit on the expensive side and whose to say everyone will find it as comfortable to use as I do. So I also dig this cheaper alternative from Verbatim. 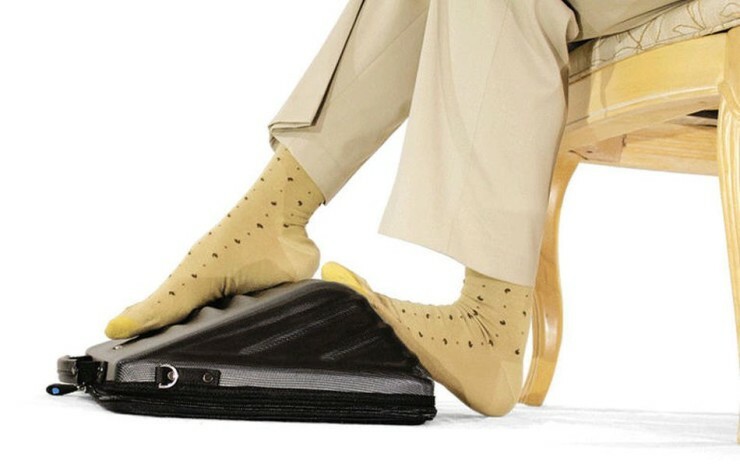 The Easy Riser’s most obvious feature is the adjustable height which can be raised for a more comfortable hand posture, or flattened for easy transport. But it also comes with a classy silver and black finish and a programmable scroll wheel. Best of all it comes in 3 different cost-effective flavors for any budget. A 2.4GHz wireless model with a tiny USB receiver (as tiny as the VX Nano’s) for $39.99, a wireless Bluetooth model for $34.99 and a retractable corded version for just $19.99. Available from Verbatim sometime in October.